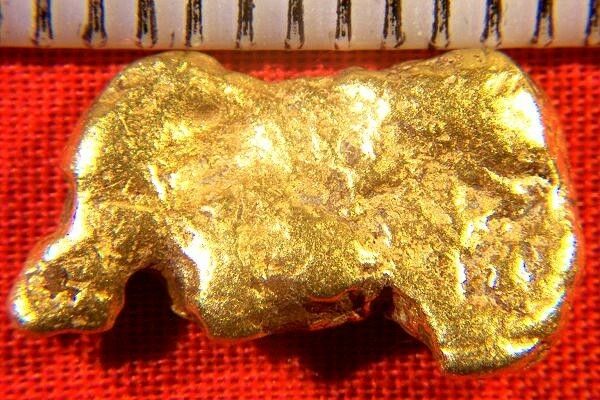 This Natural Alaskan Gold Nugget weighs in at a nice hefty 4.8 Grams (74.1 grains). It has a nice smooth surface and measures just under 3/4" (18 mm) long. 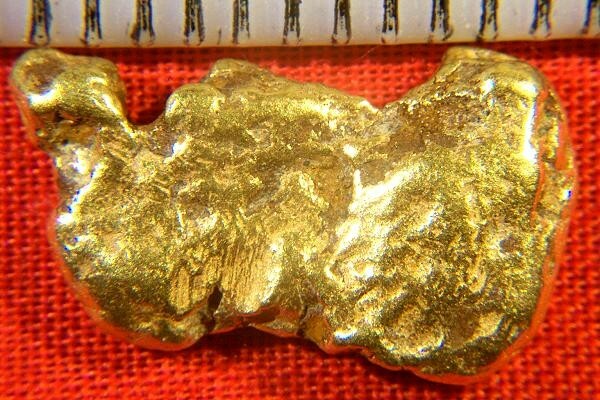 This wonderful natural gold nugget specimen would look great in any gold nugget collection. As with all my gold nuggets, this is a hand selected jewelry/investment grade natural gold nugget. It was recovered by a prospector in the Fairbanks area of Alaska. As with all our nuggets, it comes with a certificate of authenticity.